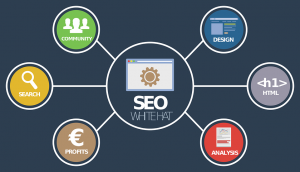 What is Black-Hat SEO and Why Should You Avoid It? In the world of digital marketing, there is a vast array of strategies and tactics that practitioners implement on a daily basis in order to achieve SEO success. These tactics are primarily dichotomized into two camps, white-hat SEO and black-hat SEO. White-hat SEO refers to tactics and strategies that are considered ethical and not inherently manipulative being used by the best SEO marketing companies. On the other hand, black-hat SEO refers to tactics and strategies that are at best cheap and lazy and at worst aggressive and highly dishonest. Obviously, black-hat SEO and its practitioners are actively shunned by Google and other search engines that are extremely strict in policing how marketing is performed on their platform. Google especially understands the impact that unrestrained black-hat tactics can have on the user-friendliness of its search engine, burying users in low-value, spammy content that was designed to trick a computer and not help a human being. 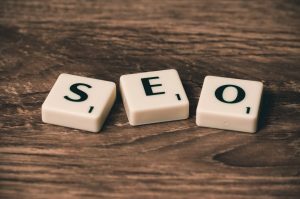 However, black-hat SEO is not always performed deliberately and may simply be the result of a naïve business or SEO practitioner using an outdated tactic. Some strategies that were tolerated in earlier versions of the internet have since been exploited and are now no longer viable in the eyes of search engines. This means that many websites are guilty of black-hat SEO completely inadvertently, either because they were misinformed or bought consultancy from an unscrupulous agent. This is why businesses that are new to digital marketing need to be careful that they only every buy consultancy from a reputable SEO agency that understands and adheres closely to white-hat standards. Let’s take a look at 3 of the most infamous black-hat SEO strategies that you should definitely stay away from if you want to succeed online. This is where the phrase ‘too much of a good thing’ applies as the targeted use of keywords throughout digital content is actually a white-hat strategy when done properly. However, when a keyword is inserted too many times throughout a webpage, either deliberately or not, it is described as ‘keyword stuffing’. Keyword stuffing was commonplace in the early days of SEO as search engine algorithms were still quite primitive back then and would rank webpages based simply on the number of keywords present rather than their semantic value. This meant that if you wanted to get to page 1 for the keyword ‘cat food’ you could deliberately insert ‘cat food’ at an unnatural frequency throughout your website’s copy. This one is pretty self-explanatory but you’d be surprised by how many businesses and less reputable SEO practitioners still attempt to use this method. Basically, content automation describes the use of software to automatically generate blog articles and other reading content and present them as if they were written by a real person. This tactic is not only unethical but largely ineffectual as search engines like Google (and the naked eye) can plainly identify content that has been generated through software. This type of content reads unnaturally and is basically garbage with no value to anyone. As you can imagine, search engines like Google HATE this kind of strategy as it fills up the internet with low-value content and is a blatant attempt to manipulate the system. While content automation might save you money otherwise spent hiring writers, it will cost you far more in the setbacks it will generate for your SEO efforts. Also referred to as a ‘sneaky redirect’, a link bait and switch is when you anchor a link to certain words and clicking takes the user to a completely unrelated page. This is obviously frowned upon as it is deliberately misleading users in an attempt to pull traffic to your website. These 3 tactics are infamous because they’re largely ham-fisted attempts to manipulate search engines. Other black-hat tactics like competitor reporting and link scheming are far less obvious and usually attempt to hide behind very thin justifications. Why should you avoid black-hat SEO tactics? If the fact that they’re unethical doesn’t dissuade you, then the second best reason to avoid black-hat SEO is that it largely doesn’t work. This is because search engines, especially Google, have gotten very good at identify and punishing this kind of behaviour, so it’s really not worth attempting whatsoever.